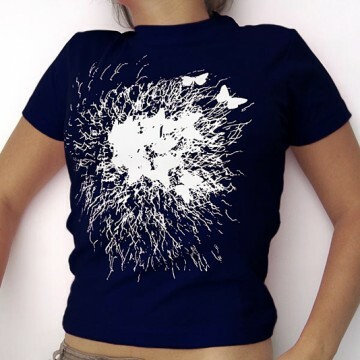 Agathe Jacquillat and Tomi Vollauschek from London-based design studio FL@33 created this slim-fit T-shirt by modifying a picture of their vast snapshot collection of fireworks. The motif was printed as Orange, Pink and later also Navy Blue T-shirt. The Pink and Orange were later reprinted and while Blue and Pink are now sold out a few Orange ones are still available as part of our Back Catalogue sale.